Over the past year the children in St. Enda’s have been very busy developing the science and maths curriculum in our school! 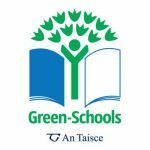 Both pupils and teachers are involved in the Discover Primary Science and Maths Programme, which is a project of the Irish Governments Discover Science and Engineering awareness programme. 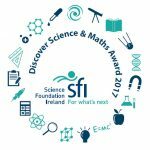 The Discover Primary Science and Maths programme (DPSM) is part of Science Foundation Ireland’s (SFI) Discover Programme which aims to increase interest in science, technology, engineering and mathematics among students, teachers and the wider public. The DPSM programme aims to develop creativity in children, help develop an interest in science, show how important science is to our daily lives and more importantly how much fun science can be! We are applying for the Plaque of STEM Excellence, an award which is given to schools that carry out extensive work in science, technology, engineering and maths. We have thoroughly enjoyed taking part in the awards and we hope that you enjoy viewing our work. 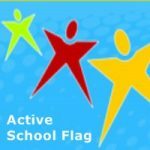 Every class in our school from Junior Infants through to Sixth class has been involved in this programme. A huge amount of work has gone into this, well done to all who took part! 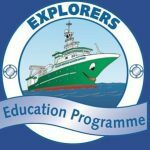 The 5 steps of the programme involves hands-on science investigations from all strands of the Science curriculum, the use of ICT, investigating engineering, using maths skills, inviting science speakers to the school, visiting DPSM Centres and opportunities for the children to present their work to others.